The average size of new, single family homes built in the U.S. continues to measure about 2,600 square feet. 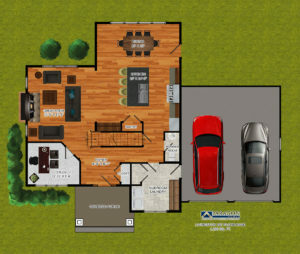 When you decide to build a new home and start looking at floor plans, it can be difficult to imagine living in the spaces as they are drawn on paper or depicted on a computer screen. The measurement of a room doesn’t always mean it will be a good fit for how you will use the room. So how can you make sure that you are getting the perfect size home for your budget and lifestyle? Here are some things to consider. Don’t just count your family members and choose a floor plan with bedrooms that match up. If you plan on staying in your home long-term, consider parents or other family members who might be living with you down the road, as well as first floor living options for yourself as you age. If you are the person who always hosts the family Super Bowl party, the Oscars night party and monthly game night with friends, pick a floor plan with ample kitchen/dining/great room space and good traffic flow. If you have a hobby that requires its own, specialized space, it might be worth it to add square footage in one part of the house to create a dedicated room with a door you can close to hide your workspace clutter or equipment. You might not work from home right now, but choosing a flexible floor plan that will have the space if and when you need it for a home office, or even two offices, is a great idea. You might even consider adding enough square footage and customizing the layout to allow for work-related meetings at your house that won’t require visitors to step over toys or greet the dog. When it comes to researching and settling on a floor plan, the overall size of the living space isn’t as important as how you are able to tailor it to your needs. 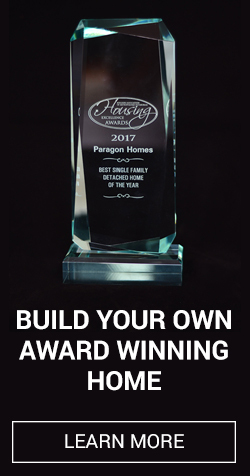 Working with a true custom builder will give you the chance to build a new home that offers much more than just extra space. We let you design a floor plan for the way you live! Contact us to learn more about how to customize the perfect size floor plan!